POD PF1s swim fins streamline design suited for Bodysurfing, Bodyboarding, Knee Boarding, Ocean Swimming and Pool Swimming. 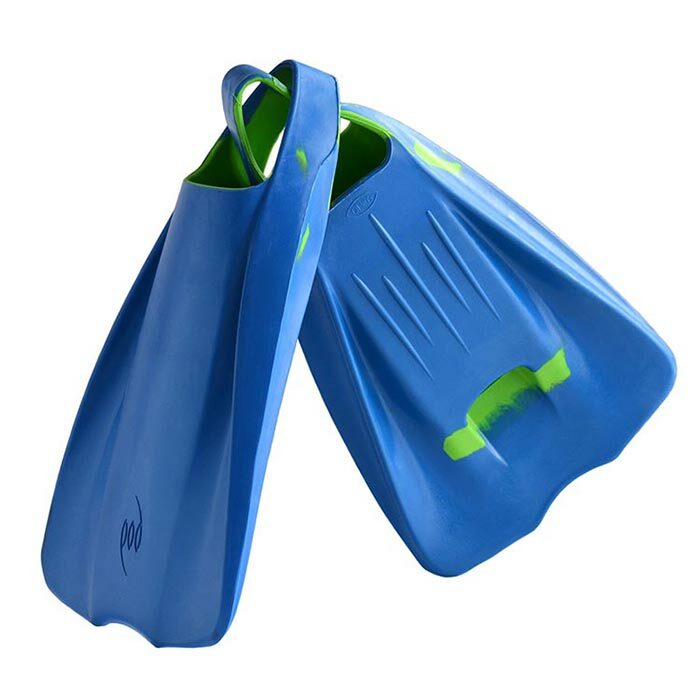 They are manufactured from the highest quality natural buoyant rubber compounds best suited for swim fins-training fins - providing maximum durability. The unique Splay Rails® combined with a symmetric blade provide good balance, thrust and control. The drainage design ensures rapid water from the foot pocket. The pocket itself has been extended for versatile fittings to ensure a comfortable fit.